You provide the park, we’ll do the rest. It’s the most fun your team will have on a lawn this summer. For your Lawn Games event, teams of 8-10 players each will be presented with sporty challenge stations. We’ll provide referees to facilitate each station, armed with stopwatches and official scorecards. Sample stations may include: tug o’ war, water balloon toss, cross country ski relay, three-legged race, and other summer camp classics. Add some original Go Game challenge stations for unique and hilarious competitions. Maybe some jousting or hula hoop tag? Referees will tally and announce the winners at each station/sport, leading up to the declaration of the overall winning team. We’ll shower winners with bragging rights and prizes in your very own Olympics-inspired award ceremony. 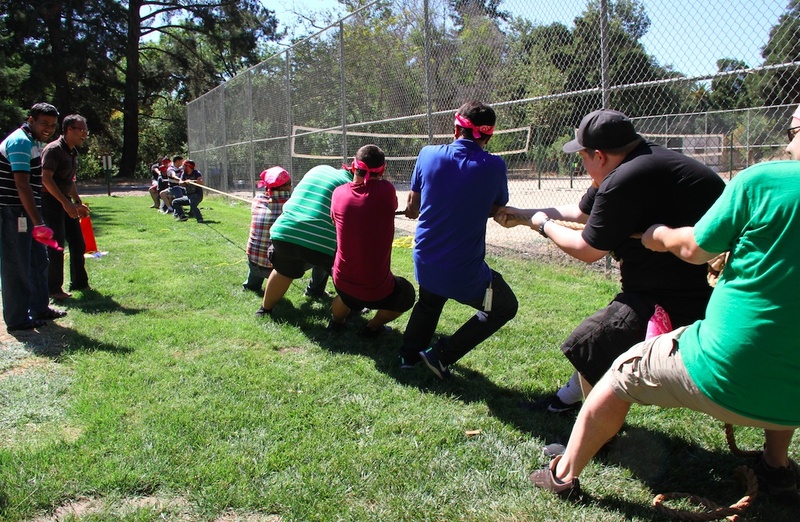 Want to energize your team with a few hours of high-stakes competitions, ridiculous relays, feats of strength, cheering, and glory? Reserve a game before our summer calendar sells out!